Music Scholarships are available for talented students going into all year groups. Our Open Days for September 2019 will take place in mid-October. Auditions for September 2019 will take place in October 2018. Interested candidates should contact the Director for further information. 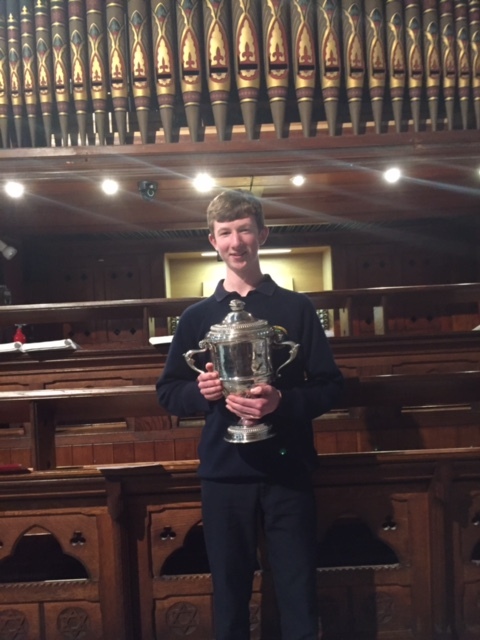 Winner of The Stanford Prize, The Senior Organ, and The Catherine McAuley award at Feis Ceoil 2016. 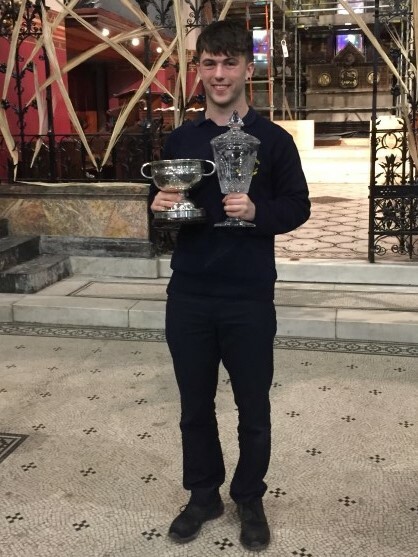 Recent past pupil, winner of the Lieder Prize, Nancy Calthorpe Cup, Dermot Troy Trophy, Gervase Elwes Memorial Cup and the very prestigious €15,000 RDS Music Bursary 2017. Eimear Kyle from Longford performs on the Concert Harp on RTE’s Nationwide programme. 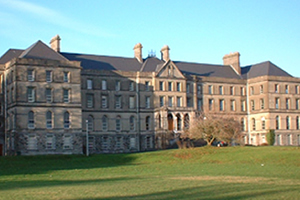 The Schola Cantorum operates as a miniature music conservatoire at St. Finian’s College, Mullingar. Its purpose is to provide a specialised music education for girls and boys in parallel with their normal secondary school studies. 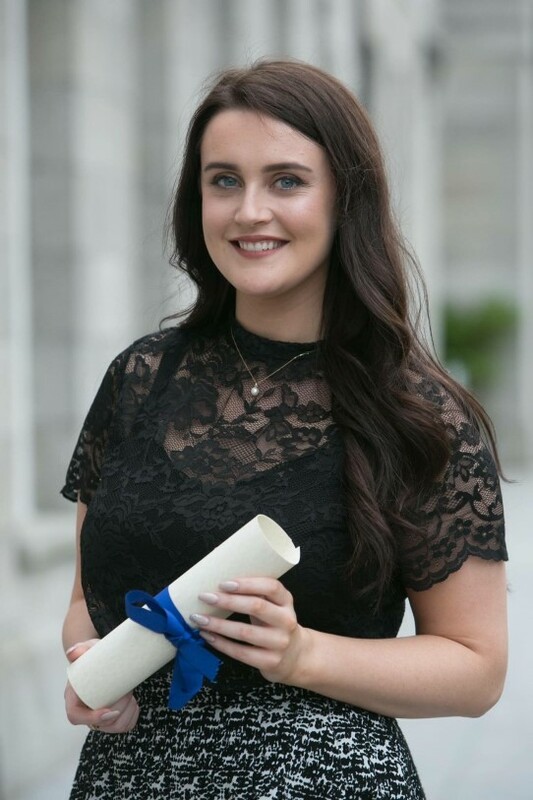 Following annual auditions in February of each year, scholarships funded by the Irish Catholic Hierarchy are awarded to talented young musicians to study in Mullingar. These are valuable scholarships which entitle the recipients to five years free music tuition at the Schola. The award also entitles some girls and boys from further afield to accommodation grants so that they can reside with host families (Monday – Friday) beside the College. While studying at The Schola Cantorum there is a strong emphasis on Church music. We have been providing a training ground for young organists and choral directors from all over the country since the establishment of this specialist school by the Irish Hierarchy in 1970. Our students take advanced studies in piano, organ, conducting and choral training, complimented with appropriate Associated Board Theory programmes. Students may also take an additional instrument or take individual singing tuition. All these supplementary music classes coincide with a normal secondary education in St Finian’s. Students are encouraged to participate in various choirs, instrumental and string ensembles within the school. A new and exciting Transition year programme has been successfully introduced in St Finian’s in September 2017. Scholarship students have an opportunity over the course of one academic year to develop their interest in many other aspects of music, while participating in all aspects of the Transition year programme. and later broadcast on RTÉ television. Preliminary Auditions for September 2019 candidates will take place in October 2018 following our school Open Days. Interested applicants should contact the Director for further information.